A perfect way to unwind after a crazy week at work is with the company of great friends and with lots of food! 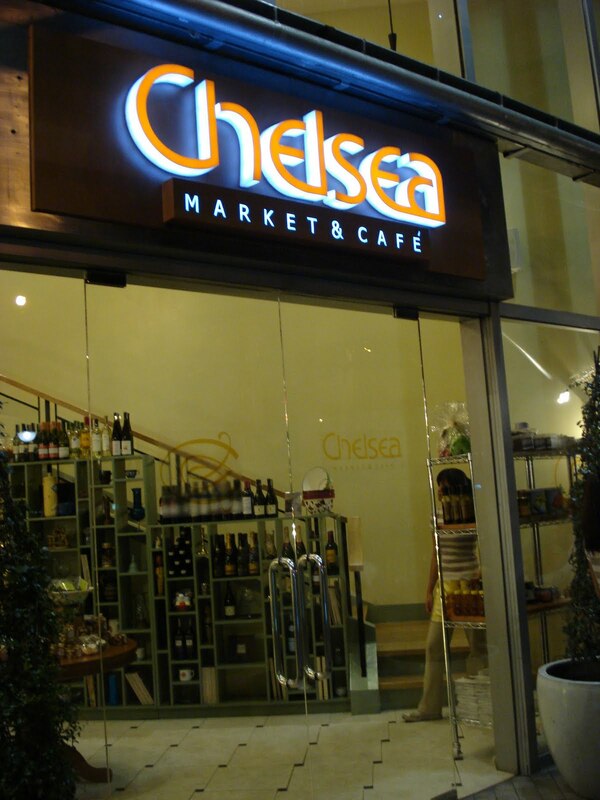 We have been awaiting the opening the Chelsea Market and Cafe at the Podium Mall for months! Finally, my friend K who has been monitoring the status of their store opening texted B and I that they're finally opening on April 30, Friday and invited us to have dinner there. Of course, we said yes. Despite the rain and the bad traffic all around the metro, the three of us met up and enjoyed a delicious dinner with me introducing a couple of my well-loved Chelsea dishes and trying out a couple of new ones too. 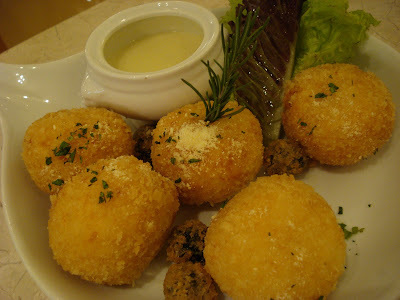 K was the first to arrive and while waiting for us, she ordered the Risotto Balls (Php. 295) which we all agreed was a great choice. I love the cheezy risotto filling that's packed inside a crunchy deep-fried shell. This comes with cheezy Jalapeño sauce which you have to dip your Risotto Balls into before taking a bite. I also enjoyed the tiny deep-fried olives that came as a garnish. 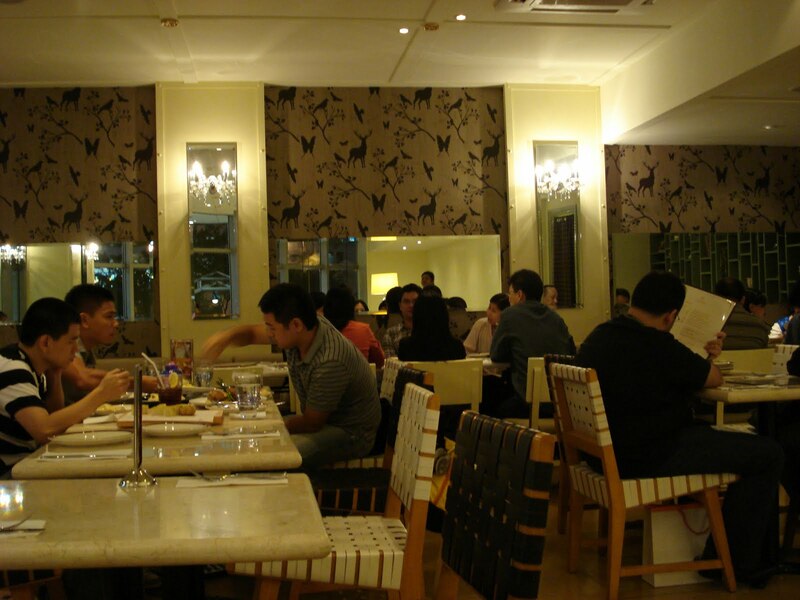 No visit to Chelsea would be complete without warming up your stomach with their Pea and Mushroom Ravioli Soup (Php. 280). I've raved about this before and will rave even more. I remembered how big one serving was that I requested our server to split it into three. He hesitated for a minute but after telling him that we are ordering a lot more, he lately complied. I guess majority of their customers would just split the soup into two but we were surprised to still get a good serving despite sharing it three ways. Nothing beats the lovely aroma of truffle oil and the mushroom ravioli was perfect as always. For our main course, we got the Baked Mussels (Php. 375). This is not your ordinary mussel dish as each piece comes with bacon and is baked with parsley lemon sauce. Yum! The sauce made the mussels sweeter while the bacon gave a little salty twist to the entire dish. 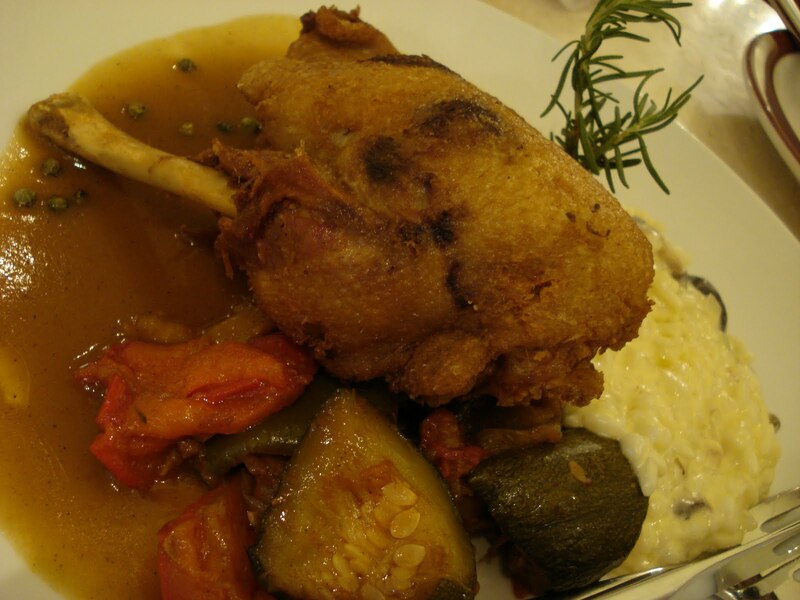 We also got another old time favorite, the Duck Confit Risotto (Php. 575). It's a good thing that the three of us are huge fans of risotto! Here's our second risotto dish but really, the limelight goes to the duck. Delicious and tender duck meat that has a crispy covering. It's so good together with the mushroom risotto making this one of my comfort dishes. We were so full but how can we say no to dessert? 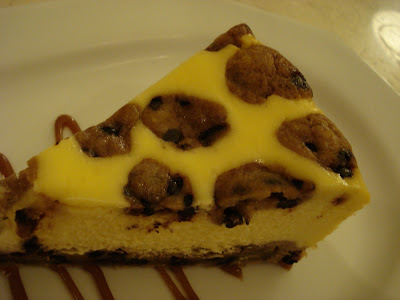 After taking a couple of minutes to decide, we got the Cookie Dough Cheesecake that has become a favorite since I first tried this two years ago. In between oohs and ahhs we continued to dig in. I liked it because it's not too sweet and the cream cheese has a just-right consistency that was not too rich and filling. It was truly a good dessert choice. It was just their first night and the place was packed! We also had a little celebrity sighting during our 3 hours stay at Chelsea. Sadly, Chelsea do not accept reservations for dinner so it's best to go early to secure a nice table. Check out Chelsea Market and Cafe at the Ground Floor of The Podium Mall (beside Casa Armas).